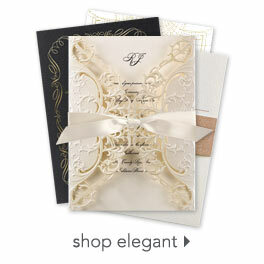 Just like the two of you, these vow renewal invitations are timeless in style and appeal. The pinstriped background becomes a simple backdrop for the white filigree frame surrounding your wording. Customize background and wording to fit your preferred colors and style. Envelopes are included with these vow renewal invitations.